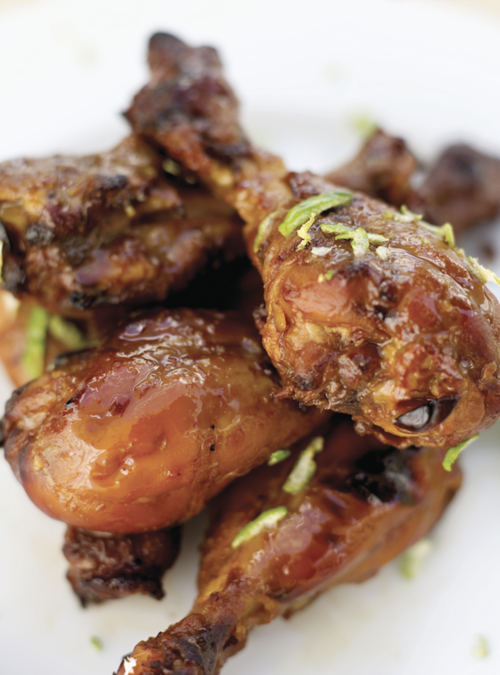 These wings pack a lot of flavor in a small package. Add the chicken and stir to coat. Cover and refrigerate for several hours or overnight. Place the chicken and the marinade in an 8x8-inch glass baking dish and bake for 45 minutes, basting every 10 minutes with pan juices. Remove the chicken. Scrape the pan juices with all the brown bits into a frying pan. Heat over medium heat and add the white wine. Cook down until a thick sauce is obtained. Stir and add the chicken.